Championship Results :: The Union exists to promote golf in the County and to provide competition for the top county players as a route to Midland and International golf. 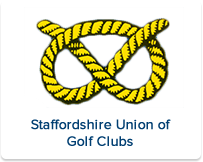 Staffs Foursomes Championship (The Beddows Trophy) at Brocton Hall GC 21st July, 2016. Congratulations to Simon Bright and Steve Trotman who produced a magnificent gross score of 66 to win by five strokes. The Championship which has been played for since 1949 saw 27 teams take on the challenge of Brocton Hall GC which was in excellent condition. Simon Bright and Steve Trotman pictured below receiving the trophy from SUGC President-Elect Nick Weaver. 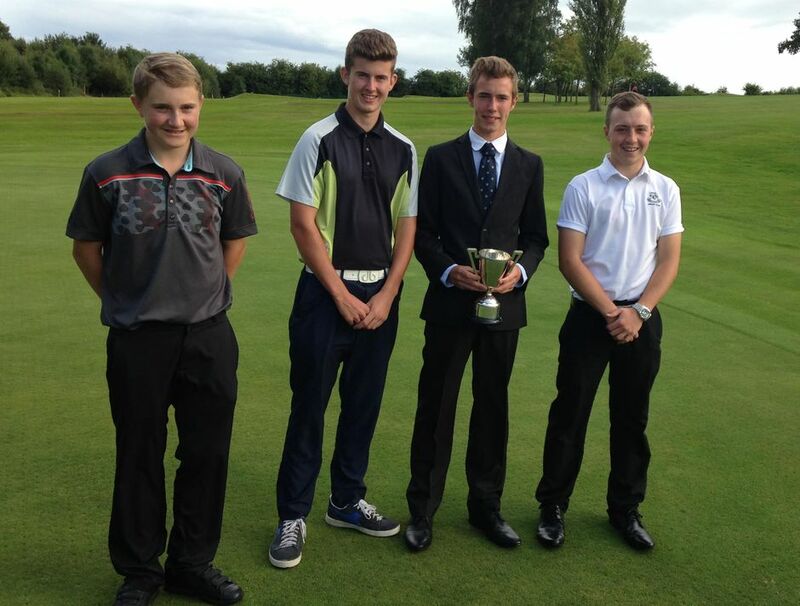 Congratulations to Freddie Sheridan-Mills (Walsall GC) who narrowly beat Jack Gaunt (Drayton Park GC) by one hole. Freddie pictured with Ingestre Park GC Captain Paul Laughlin below. Congratulations to 2016 Staffs Amateur Champion Matthew Downes (Ingestre Park GC) 69,70 pictured below with SUGC President Martin Payne and Ingestre Park GC Captain Paul Laughlin. An exciting Finals day at Stone GC, finished with a closely fought Final. 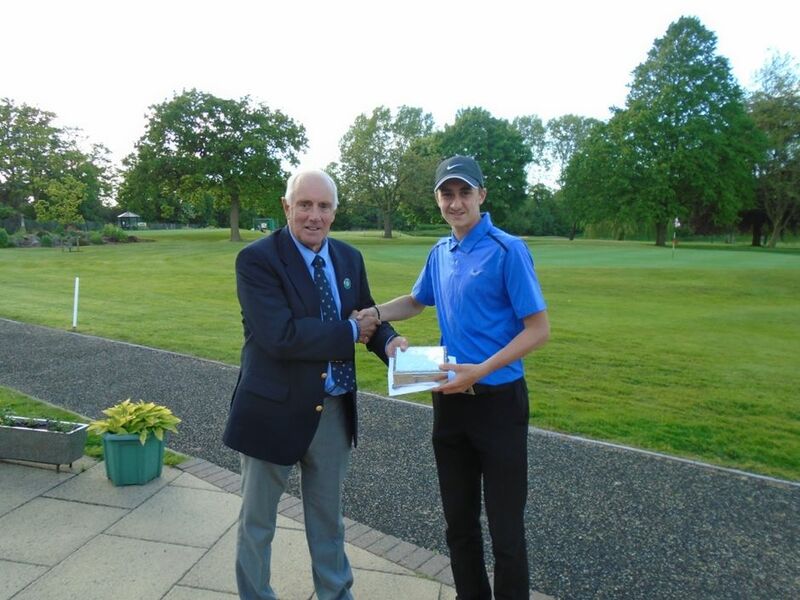 William Downes ( Ingestre Park) became Matchplay Champion 2015, winning at the 24th hole against Jake Walley (Halfpenny Green GC). He follows his brother Matthew, who was Champion in 2014. Full results below. The 4 finalists. Harry Fearn, James Wilkinson, William Downes & Jake Walley. Peter McEvoy ( Walker Cup & McEvoy Trophy), David Gilford (Ryder Cup) & Sandy Lyle (Open & Masters winner). 2015 Staffs Matchplay Champion beating Jack Davis (Aston Wood GC) 1up in the final played at Bloxwich GC. Matt picture receiving his trophy from SUGC President Roger Waite. Double celebrations for Matt,, as last weekend he won the Trentham PunchBowl and was the overall winner of the Staffordshire Stag (Aggregate score from Trentham Punch Bowl and Beau Stag). A great week well done. The 2015 Championships were held at Bloxwich GC on 30th May. An excellent field was assembled for this prestige event. Bloxwich GC who hosted the day provided an excellent course and looked after the players and officials very well. Home club player Dan Jukes was the 1st round leader on 68. Although Dan scored 73 in his 2nd round for a total of 141 his score was matched by James Willis of Penn GC. A playoff resulted in Dan winning on the first extra hole. 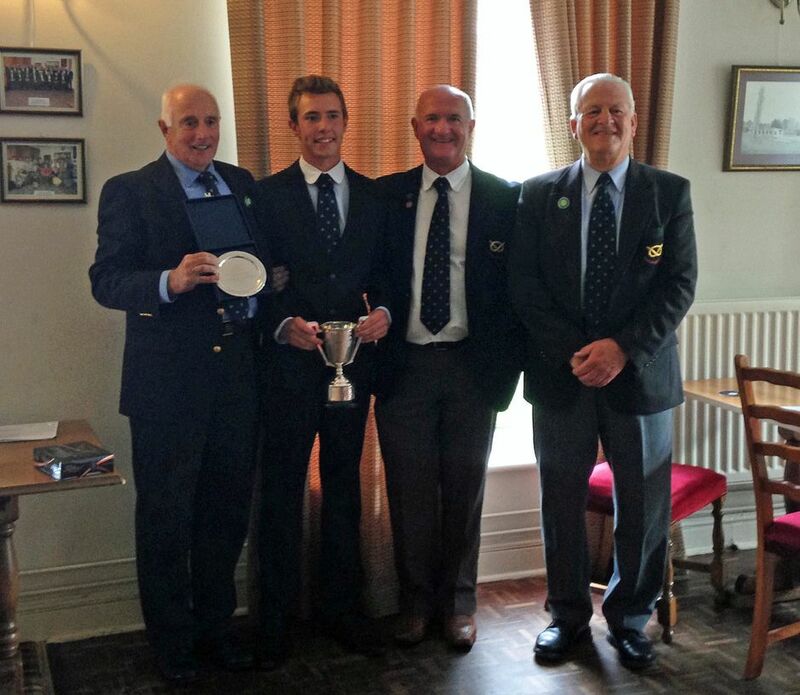 Dan Jukes also won the Legge Trophy for the best 36 Nett score. 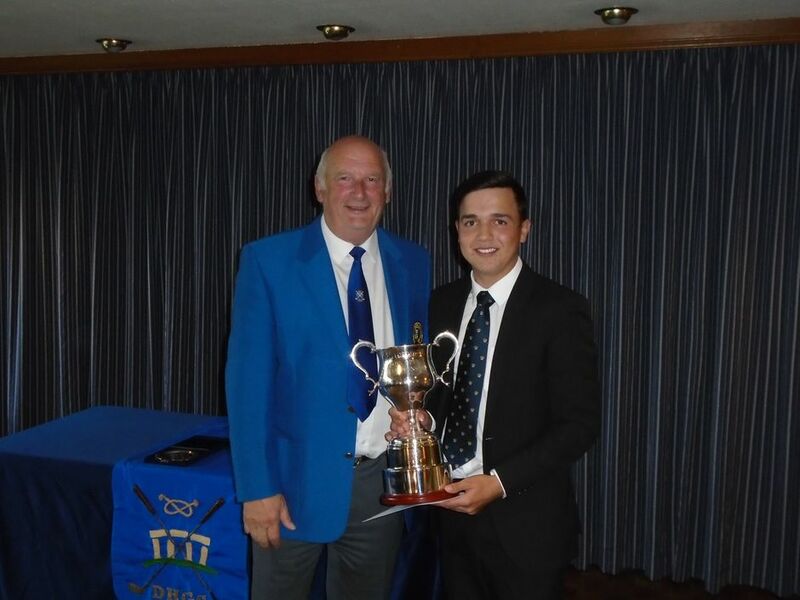 Gian-Marco Petrozzi (Trentham GC) won the Britannia Cup for the best U22 Gross score and South Staffs GC were the team winners of the Scarf Salver. 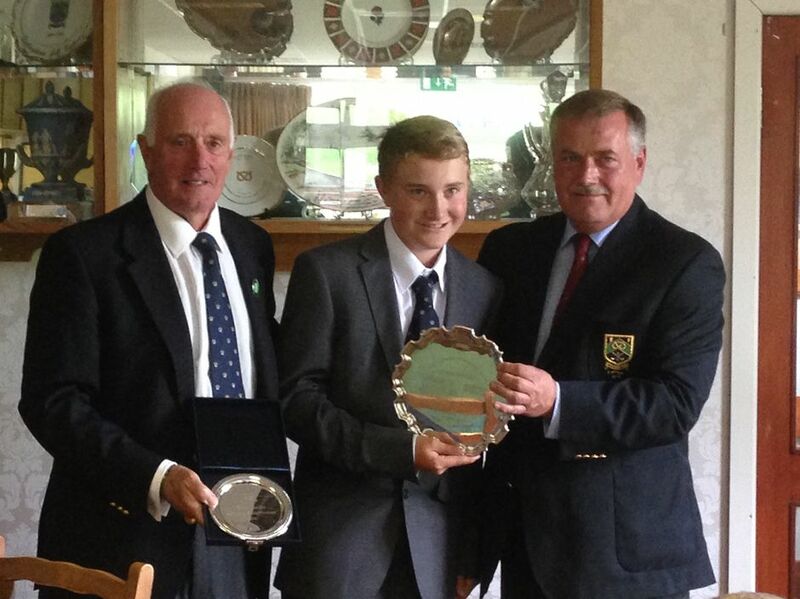 Pictured below SUGC President Roger Waite, Dan Jukes and Bloxwich GC Captain Steve Wolczek.